Household borrowing hit the $200 billion mark last month, according to Reserve Bank figures. The latest sector credit figures for October - covering the first month since the application of lending limits by the central bank - showed that total household claims hit $200.528 million. The household claims figure, which includes mortgage borrowing and other consumer borrowing, compared with a revised figure of $199.503 billion for September. Extensive revisions have been made to prior period figures*. The latest household claims total was up 0.5% on a seasonally-adjusted basis, which is in line with the magnitude of increases in recent months. On a year-on-year basis the latest figure was up 5.7%, the highest increase since October 2008. The total outstanding on mortgages rose 6% year-on-year to $186.830 billion, and was up from a revised $185.894 billion in September. The year-on-year increase was again the most since October 2008. ASB chief economist Nick Tuffley said mortgage lending growth had a strong month over October, notwithstanding the October 1 implementation of high-LVR restrictions. "As was the case with house sales, a lot of the loans drawn down over the month would have been the result of decisions made prior to the implementation date of the restrictions," he said. "...We would expect that the effect on overall lending (and the housing market) of the restrictions will become more apparent over November and December, though there is the potential for sub-80% LVR lending to be stronger than it would otherwise be and mitigate the overall impact on the housing market." Tuffley said there was "little sign" of any negative impact on credit growth of the high LVR restrictions. "However, at this point the RBNZ wouldn’t be too worried about that specifically: the RBNZ does expect it will take months for the full effects to become clear. Rather, the continued strength in mortgage lending suggests more generally that credit growth has yet to show signs of cooling before the LVR restrictions fully bite." Agriculture sector borrowing, which has been up and down this year, partly as a result of the earlier drought, fell in the latest month. It was down to $51.910 billion from $52.124 billion, giving a year-on year increase of 4.2%, which despite the drop in the latest month is a slightly higher rate than that recorded for the year-on-year figures to September of 3.9%. Business borrowing, which has been volatile this year, rose to $78.473 billion from $77.662 billion in September and the year-on-year increase was 2.1%. 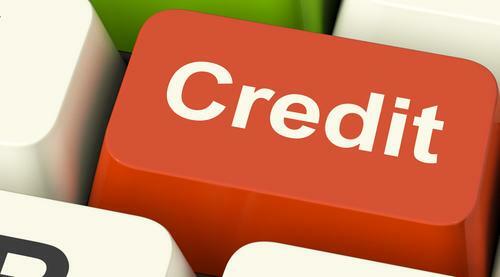 The Reserve Bank today released money and credit statistics for October 2013, which include a number of revisions to previously published results. The revisions are a result of ongoing system improvements made by several banks affecting customer classification and product allocation. These revisions affect all periods from December 1990 onward, but are predominantly a change to the level of sector credit with growth rates largely unchanged. There is no change to total credit. a decrease in NZD claims on non-residents. Hmmmmm..... - catching up with GDPE @ NZD 212.121 billion, which is rising at an annual rate of just 2.07%. How long can this growth disparity continue to fund itself? Sadly Stephen for a long long time ... As John M K said ... " markets can stay irrational longer than I can stay solvent ". The only issue is when it will end - not if. lead me to believe the nerves of the NZD/USD traders are being tested and hence those of wholesale foreign lenders, while they ascertain the true level of our economic dependence on the PRC. If NZ is called upon to confirm "are you with us or against us" by either of the parties in conflict we are inevitably collateral damage. Stephen, I have been watching this unfold with an assumption that this is not going to end well or shortly. Face is now involved and that means a lot in some quarters. This has the potential to turn to custard in seconds - Maybe invading China and creating mayhem many years ago was not such a good idea. Our friends in the PRC have very long memories. People in the PRC don't need memories. 40% of TV drama broadcast are war-time dramas about the Japanese invasion, gotta love the variety of state controlled broadcasting. Imagine if that was still the case with France and Germany. However, investments are creaming it, on those outstanding loans. Households are borrowing more so they can pay more interest? Did I hear that right? Got to pay the bankers somehow I suppose. Good to hear the Reserve Bankers Union of New Zealand is looking after them though, those Aussie bankers can get very ugly if provoked . Well, it's ATM bolted firmly to the house time again shurely, simple explanation. So banks are free to push the good ol' revolving credit lines, top-ups to them as what are left standing. Went to a horse event today. Farmers wife parked next to us. 100K + Car and float add value of horse...10K+ minimum. Add the 100$ she said that she had to pay a baby sitter to look after her 3 kids + fuel, for day etc. Crafars thought they were to big to fail - a lesson in there for all farmers who are highly indebted. Then one day they don't.